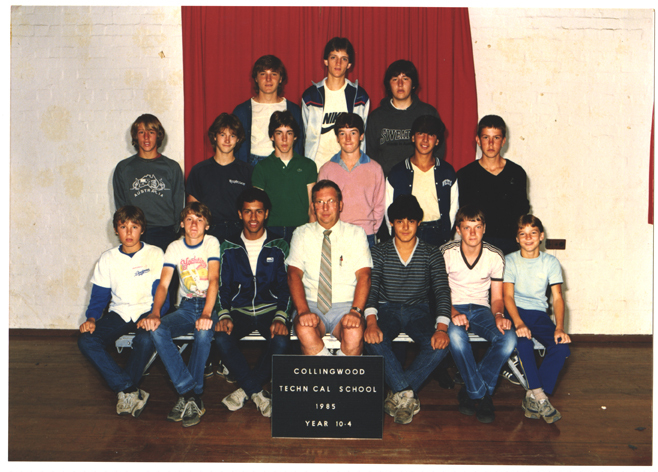 "Hello, my name is Ben Walsh, I came across your Collingwood Tech site recently and it took me back to my time 'studying' at CTS from 1982-87. 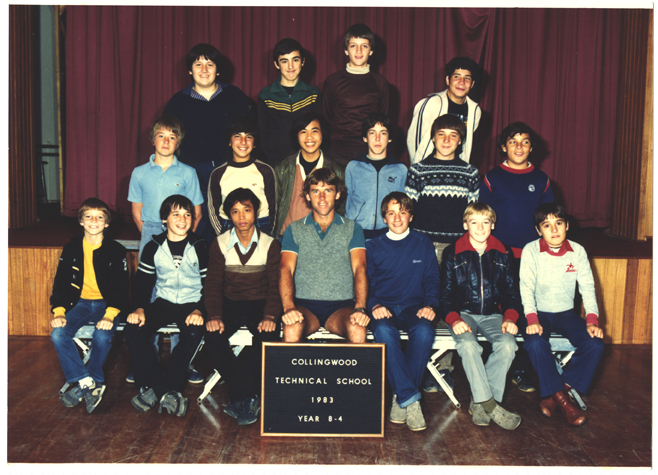 I have unearthed some photo's taken from 1987 that could act as a bookmark being CTS's final year. I remember Keith Haring painting the mural, he was playing a Hip Hop tape on his ghetto blaster. That was the first time I had heard Hip Hop. I remember that our media teacher; Mr Costello, had a hand in organizing the mural. I also remember Camp Westlake with its flying fox and trout farm near by. My friends and I ( Michael Ryan (now deceased) and David Hutchinson) were sent back from camp once; I don't remember the reason exactly, except that it was something about burning Mr. Jim Frail's Hat. Mr Frail, our English teacher was famous for appearing on 'Sale of the Century' and winning one or two nights." - Past student of Collingwood Technical College, Ben Walsh.